Writing Library Purchase Requisition Forms: this works! Thanks Robin a.k.a. witlessdatingafterfifty.wordpress.com for getting my book into the library. You are the Best. And: Writing Library Purchase Requisition Forms work!!! Three Nations Trilogy: Book 1. Three Nations Trilogy: Book 2. Three Nations Trilogy: Book 3.
after death of a mother. Oh that’s too cool! Imagine walking into a library and finding your own book on the shelf! I’m glad you shared this, Christoph. Hugs! I’ve donated mine to the local library, but it’s not the same. Excellent! Thank you so much for sharing my post with your readers, Christoph. 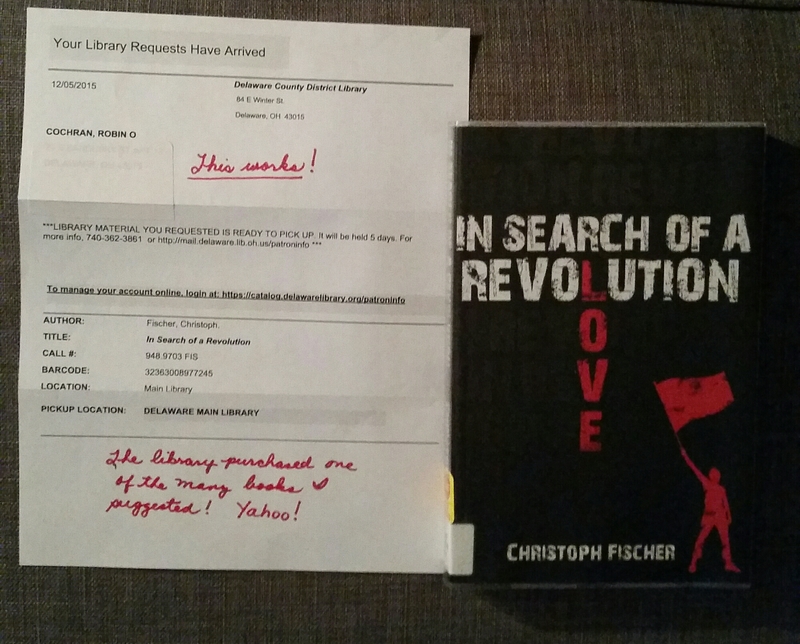 I found out the library has an online purchase requisition form in some libraries. A friend commented on the post today (January 1, 2016) named Judy. She told me people may save time by going to their library website and filling out multiple entries for book requests.